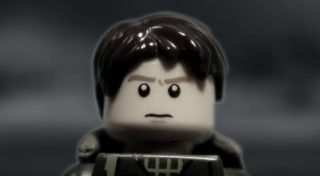 While historians might tell you Battlefield 1 has applied a lot of artistic license, the reveal trailer for DICE’s WW1 FPS remade with Lego, as featured above, is a pretty impressive like-for-like recreation. It comes courtesy of Ukrainian outfit Brick Cinema—a team who specialise in stop-motion Lego recreations, whose catalogue includes videogame reinterpretations of Five Nights At Freddy’s, Fable, Metro Last Light, and Outlast, among others. Its latest take on Battlefield 1 includes everything from towering airships to gallant horses; planes falling out of the sky to guys getting whacked over the head with Lego-crafted maces—it’s really quite something.